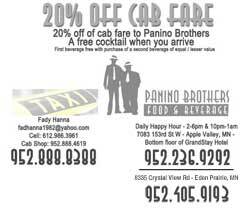 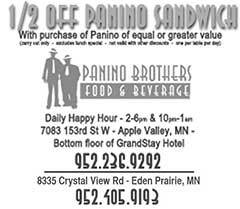 Buy one Panino, Get one Free! 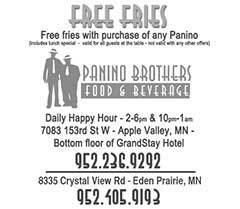 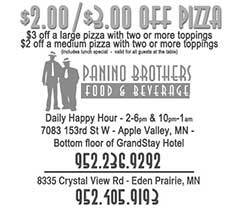 All coupons accepted at both Apple Valley and Eden Prairie locations! 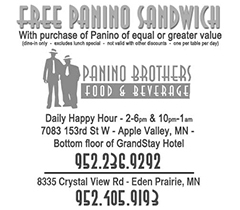 To access printer friendly version (because we don't want you wasting all your ink on us) click on the image of the coupon you would like to print.